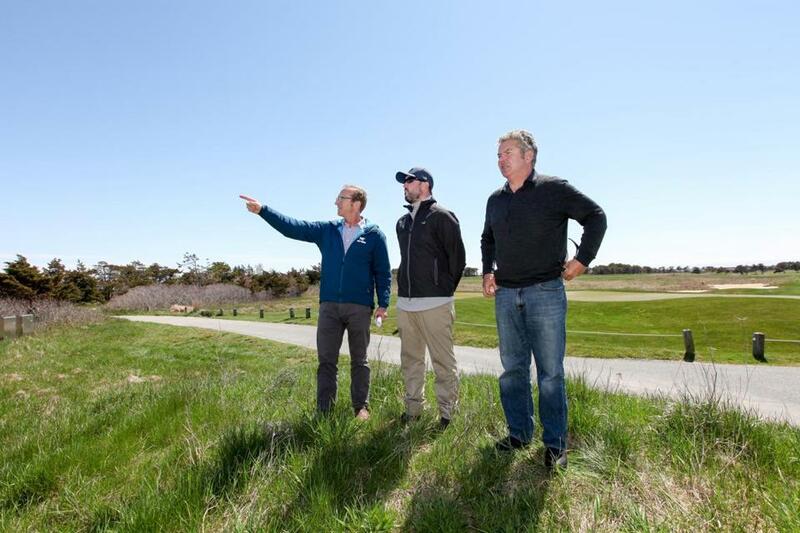 From left, Eric Savetsky, executive director of the Nantucket Land Bank; Sean Oberly, supervisor of the Miacomet Golf Course; and Neil Paterson, chairman of the Nantucket Land Bank. 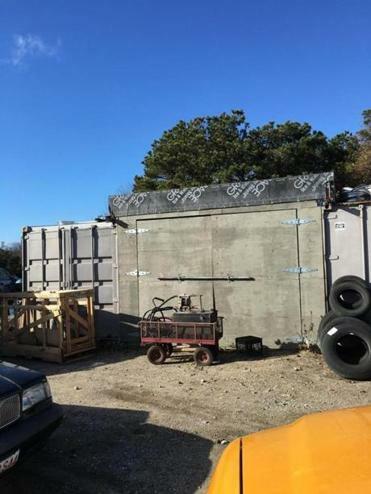 Land Bank officials say a dorm for seasonal workers is needed on the course to address the island’s housing crisis, which has made it so hard to find affordable apartments that some workers have been sleeping on basement floors or in old shipping containers. NANTUCKET — Beside the ninth hole of the Miacomet Golf Course, there’s a large paved lot with a sprawling mechanic’s garage and equipment depot, big tanks of diesel fuel, industrial-sized trash bins, and scores of lawn mowers and other vehicles. There’s also a pile of old furniture from last year when the nearby clubhouse burned down. Few if any of those potential eyesores have provoked complaints from neighbors, whose views of the lot are almost entirely shielded by a row of cedar trees and other evergreens. 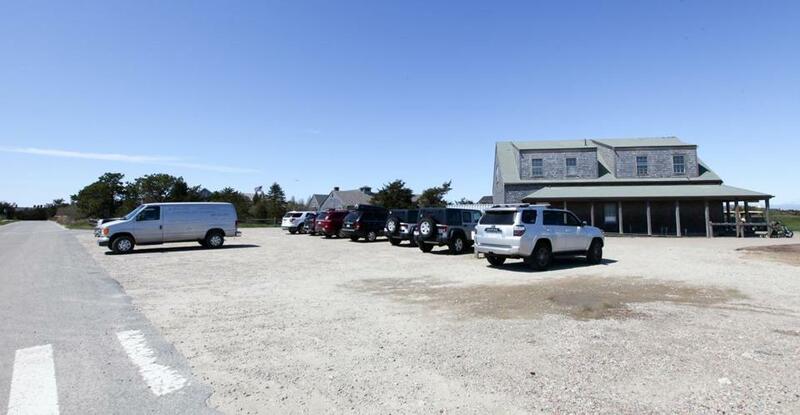 Then, about a year ago, the Nantucket Land Bank, a public agency that owns the golf course, proposed building a dormitory on the lot for its seasonal employees who help keep the club running. Land Bank officials said the dorm is needed to address the island’s housing crisis, which has made it so hard to find affordable apartments that some workers have been sleeping on basement floors or in old shipping containers. Long, whose $2.3 million home is secluded behind hedgerows and a gate, hired Bob Popeo, the chairman of Mintz Levin, one of Boston’s most prominent law firms, and began lobbying state environmental officials to block the dorm from being built. Liberty Mutual CEO David Long in 2015. 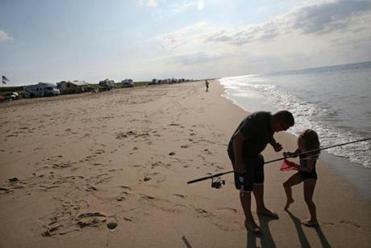 The 20 best beaches to visit in N.E. 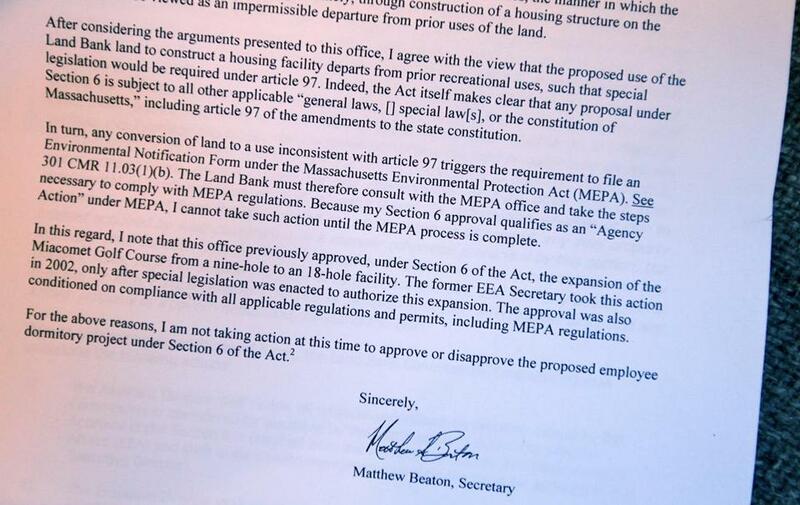 In one of several letters sent over the past year to Matthew Beaton, the state’s secretary of energy and environmental affairs, Popeo insisted that any state approval of the dorm would set “a bad precedent.” The Land Bank’s charter requires its elected commissioners to seek approval from the state before building on any of its 3,100 acres. The Land Bank was established by the Legislature in 1983 to acquire and preserve the island’s valuable undeveloped land. In the past, the state has generally approved the commissioners’ projects swiftly, including the expansion of the golf course from nine to 18 holes and the construction of a 16-acre ballfield complex elsewhere on the island, Land Bank officials said. Indeed, the commissioners were so confident that the dormitory — a one-story, 3,900-square-foot structure that would house up to 22 people — would be approved that they had plans drawn up for it. But a year later, after spending $50,000 in legal expenses to respond to Long, the Land Bank’s plans to house its summer workers are now in doubt. The Miacomet Golf Course administration building and shop along West Miacomet Road. Eric Savetsky, executive director of the Land Bank. 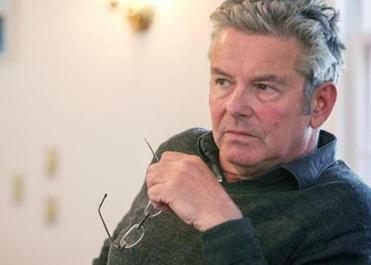 He and the agency’s commissioners, as well as others throughout Nantucket, accuse Long of using his wealth and influence to manipulate the system. They say the executive, who last year earned $20 million and famously spent $4.5 million to renovate his 1,335-square-foot office at Liberty Mutual, is paying high-priced lawyers to employ a host of technical arguments that veil his true concerns. “This is a classic NIMBY situation,” said Neil Paterson, one of the Land Bank’s five elected commissioners and the agency’s chairman. They also complain that it took nearly a year for Beaton to respond to their request to build the dormitory. In the past, state officials responded to proposals for changes in the Land Bank’s use of its property within a few weeks, they said. No one on Beaton’s staff returned their calls, e-mails, or repeated letters. “We’ve done everything by the book, and we’re treated by employees of the state in a really disgraceful way,” Paterson said. The proposed foot print of the dorm building was drawn onto an overhead photo of the Miacomet Golf Maintenance Facility. Beaton responded only after the Land Bank threatened to build the dorm on its own, without the state’s permission. Last month, Paterson outlined the agency’s plans in a letter to Beaton, saying that the Land Bank was “statutorily obligated to provide for the continuing construction, operation, and maintenance” of the golf course, the island’s only 18-hole course open to the public. Neil Paterson, one of the Land Bank’s five elected commissioners and the agency’s chairman. He noted that the proposed $1.7 million dorm would be built entirely on Land Bank property, which previously had been “disturbed and almost entirely paved,” and that it had received the necessary local permits to proceed. Three days later, Beaton responded. 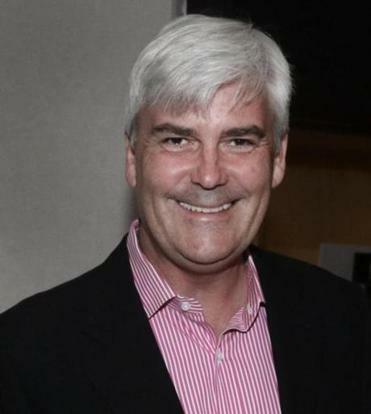 In a letter, he echoed the arguments made by Long, who has donated $4,000 to Governor Charlie Baker’s campaign fund since 2010, including the maximum possible contributions over the past two years. Since 2010, senior executives at Liberty Mutual have given Baker more than $33,000, according to state records. Beaton said state law required that any land acquired for conservation purposes couldn’t be used for other reasons without a two-thirds vote by the Legislature. He added that the project would also require approval from the state Department of Environmental Protection. 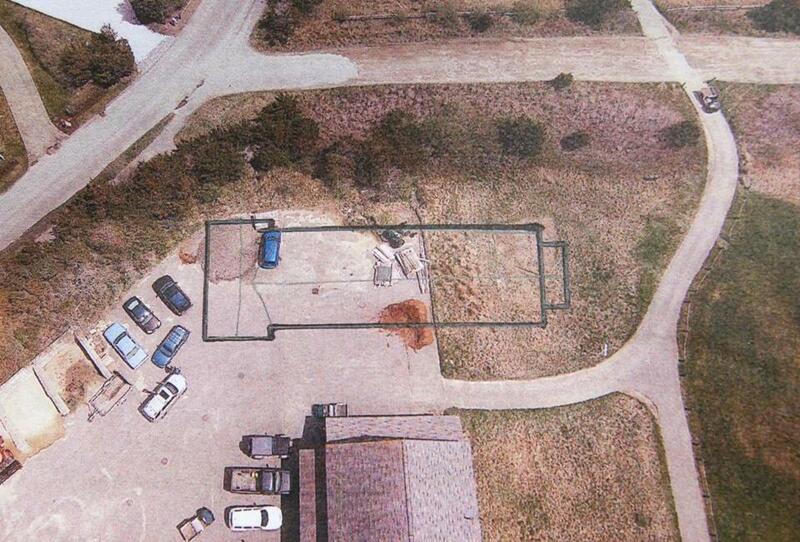 Land Bank officials said they have never faced similar requirements. The proposed dorm would be built to the left of the Miacomet Golf Maintenance Facility, which is shown here. In his letter, Beaton did, however, retroactively approve the construction of a golf cart storage facility that the Land Bank built nearby in 2015, saying that in comparison to the dormitory, it appeared to be “consistent with recreational uses” sanctioned by the Land Bank’s charter. “Going forward, however, I intend to ensure . . . that any construction or activity on the Miacomet Golf Course or other Land Bank properties is properly reviewed by EEA prior to commencement of such construction,” Beaton wrote. A letter to the Nantucket Land Bank from Matthew Beaton, the state’s secretary of energy and environmental affairs. Beaton declined to be interviewed, and his staff wouldn’t answer questions. The housing crisis on Nantucket has forced some workers to have to sleep on basement floors and other improvised spaces. In a statement, Peter Lorenz, a spokesman for Beaton, said the office “carefully reviews” all such requests and referred the Globe to the secretary’s letter. 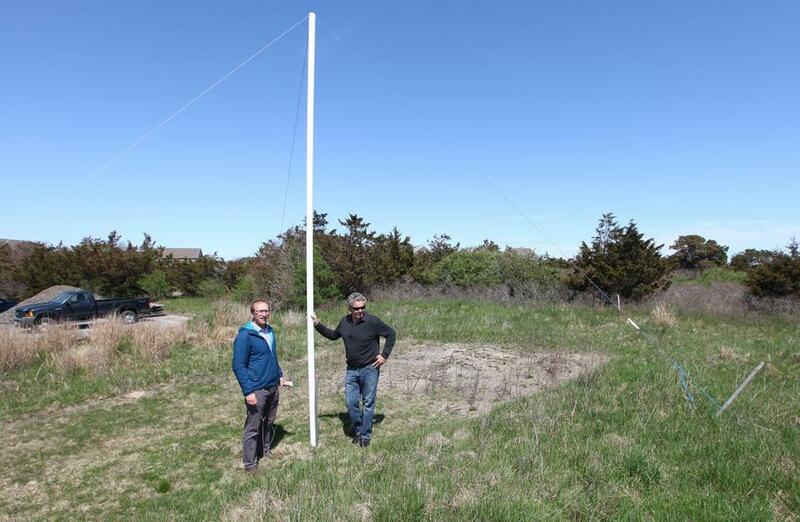 But Beaton’s decision deeply disturbed Land Bank officials and many others on Nantucket. “This is essential if we want to have a workforce to keep up with the wonderful activities we offer our summer residents, which in turn makes Nantucket a viable community to live in year round,” she said. Eric Savetsky and Neil Paterson stood at one end of the proposed footprint of the building planned. 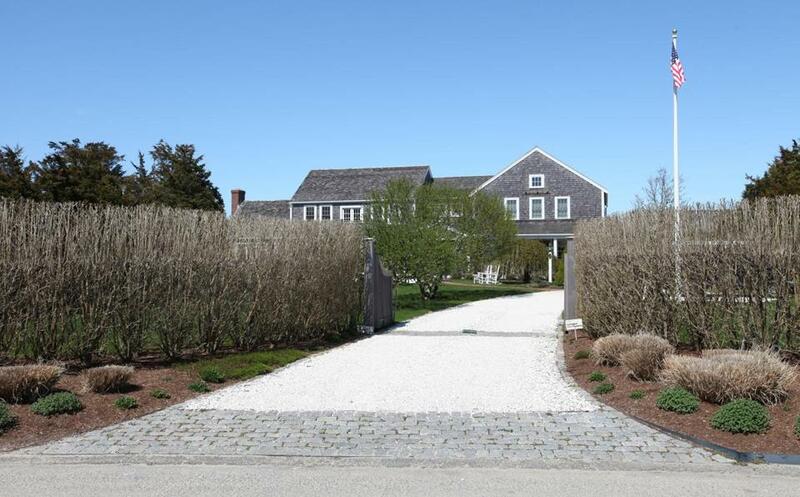 Anne Kuszpa, executive director of Housing Nantucket, a local nonprofit, noted that the median price for a home on the island is now about $1.5 million, while two-bedroom apartments typically rent for about $3,000 a month. Development is banned from nearly half the island. “I was very disappointed to learn about the obstacles faced by the Land Bank in its effort to provide workforce housing,” she said. At a Land Bank meeting this month, local residents were incredulous. No one who attended spoke in favor of Beaton’s decision. 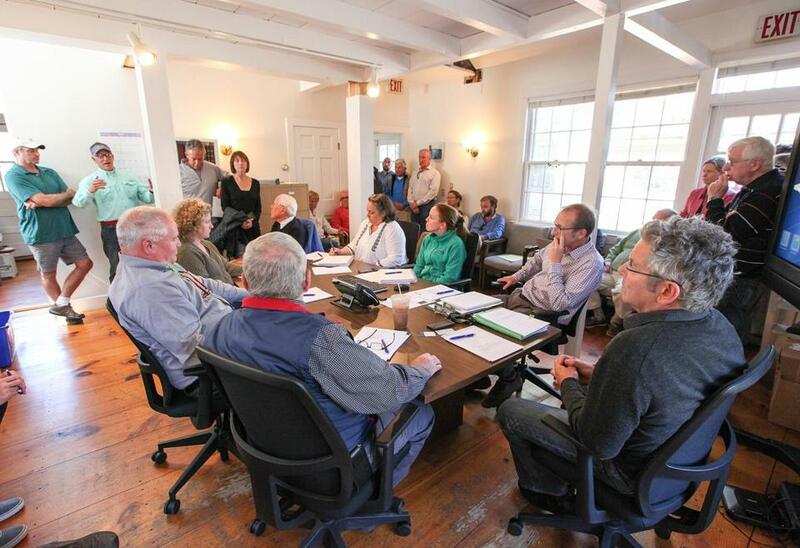 The Nantucket Land Bank held a public meeting about its proposal to build housing for seasonal summer workers. Don Van Dyke, a resident attending the meeting, noted that Long bought his house more than a decade ago, and knew he would be living beside a public golf course. Long’s six-bedroom home, which is set back from the street by a broad, well-manicured lawn, is about 350 feet from where the dorm would be built. “It’s like buying a property by LaGuardia airport, and then complaining about the noise,” Van Dyke said. In a telephone interview, Popeo said Long would not answer questions. An example situation that was discovered and condemned. 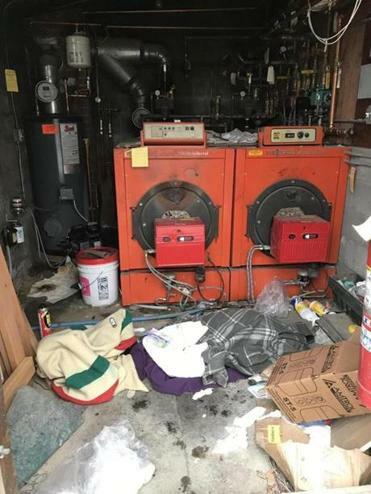 It was a makeshift yet full-time living arrangement defined by the exterior walls of two storage containers, a remnant rug with graffiti hanging on one end, and plywood doors on the other with no running water and no plumbing. He added that the Land Bank wasn’t authorized to build housing. 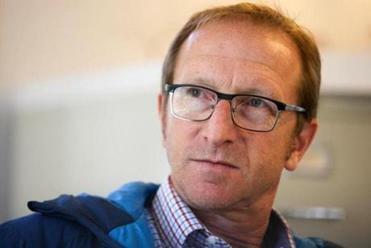 “Building this facility is not in the interests of conservation. Period,” he said. The Land Bank, which has assets worth $365 million and receives about $20 million a year from local land sales, has more than enough money to subsidize rental housing for its employees, Popeo said. His client, he said, was just standing up for the law. “Of course, he’s concerned about everything that affects his property, but that’s not his primary concern,” Popeo said. Land Bank officials, however, contend that Long is just concerned about living across the street from a dormitory, while they are focused on responding to the housing shortage.